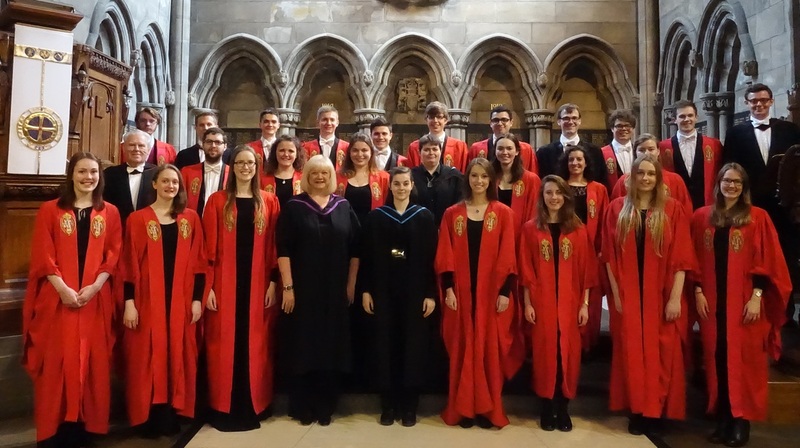 The University of Glasgow Chapel Choir provides music for services and events in the chapel and elsewhere, as well as giving concerts and recitals throughout the academic year, such as the weekly "Choral Contemplations" series in the first and second terms. It also records and tours nationally and internationally, has recorded several CDs, and is available for weddings and memorial services. 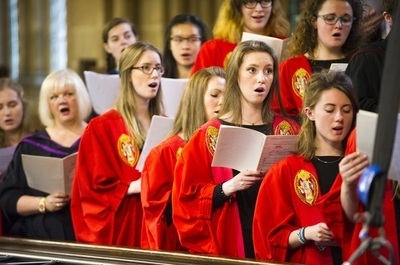 There are thirty-two regular members (a mixture of volunteers, paid choral exhibitioners and professional lay clerks) plus around ten associate singers who join us for concerts and some other events. All are auditioned regularly and receive free singing tuition. The choir is directed by Katy Lavinia Cooper (Director of Chapel Music) and accompanied by Kevin Bowyer (University Organist) and Adam Wilson (University Organ Scholar). The University of Glasgow Chapel Choir provides music for university functions, gives concerts, records, and tours internationally. It is is directed by Katy Lavinia Cooper and accompanied by Kevin Bowyer (University Organist) and Adam Wilson (University Organ Scholar).